And it's not fancy, old school 90" extravaganzas. 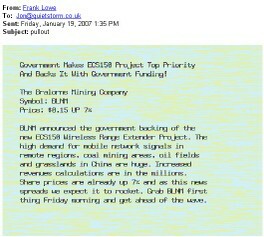 Frank Lowe has seen the writing on the wall, and knows where the future lies. Photo spam! Anyone else had spam from unusal people?